Chinese tech giants, Gionee has started pushing out a new update to its Gionee P7 smartphone. From the official change-log posted on the Chinese company’s official India website, I picked out an interesting feature which the update brings. ViLTE (Video over LTE) compatibility. See more of the change log lifted from the chinese official site. Video calls made possibleTrying to get on a video call with family or friends sitting far away but facing internet connectivity issues? Now, talk your heart out the way you like on 4G network, without any lag. With ViLTE compatibility on your Gionee P7, you can make as many video and voice calls as you want. 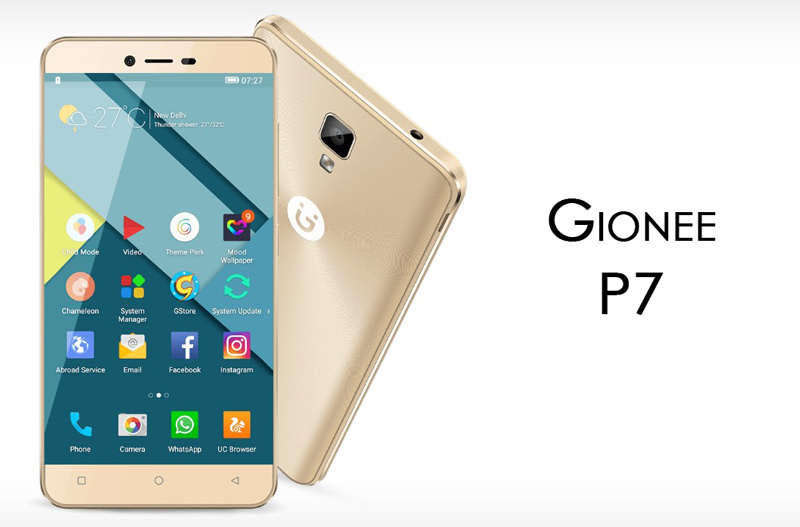 Added Urdu language supportThe Gionee P7 joins the festivities during the holy month of Ramzan by giving you the option to operate your P7 smartphone in Urdu. Beautiful selfies. Check.Like clicking selfies? Now you can look better than ever in them with the BeautyPlus application. This feature lets you enhance your selfie in more ways than you ever thought possible. Now, every selfie of yours will be as close to flawless as possible. Easier access to your favourite appsNow you can save more time and energy simultaneously with the Suspend button functionality that lets you quickly access essential functions such as locking your screen, as well as opening your favourite apps… all with a gentle tap on the screen. Updated Mood Wallpapers, Theme Parks and improved GStoreEver wondered what would be it like, when you could convey what you are feeling without actually saying it? Now, express yourself the way you like with Mood Wallpapers on the Gionee P7. And to make things even more exciting, we have the updated version of Theme Park from where you can customize the look of your phone. Lastly, the new and improved GStore lets you further enhance your Gionee P7 experience. Updated Apps: UC Browser, Xender, Saavn, True callerNow, you can discover a world of entertainment, information and convenience with India’s best apps installed automatically on your Gionee P7 with the latest update. Google security patchWith so many features centered around your convenience, it was but obvious that we would ensure you stay protected. With the latest Google security patch, we’ve ramped up the protection on your Gionee P7, ensuring that all your data stays safe. Another cool thing is that, the update also brings along latest Android security patch.